Before setting-up DJ Gear Hire, we worked in all sectors of the industry from DJ’s, to retail, install, touring and sounds systems rental since the 80’s. In 1999 we set-up DJ GEAR HIRE as more and more people wanted to hire DJ gear to run their own parties and play their own music, from 18th, 21st and also their wedding receptions. As many people now have a compressive collection of music on their smartphones, iPads, laptops, etc. So sixty well-chosen songs will make it “A Night To Remember” as long as you have the right sound and lighting equipment to creat the right atmosphere – and that’s where we come in. First-time users that have hired our ‘Do It Yourself’ DJ set-ups, alway comment on how easy it is to set-up and use the equipment, leaving them free to get on with the party. 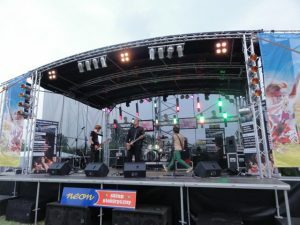 We specialise in equipment hire for parties and events from 50 up to 500+ guests. We have a great selection of Full DJ Packages, Sound Systems and DJ Lighting Packages for short term hire. We are based in Greater Manchester, but cover most of North West England. As well as DJ equipment hire and PA hire, we also offer the following equipment… Disco Equipment Hire, Smoke Machine Hire, Haze Machine Hire, Dry Ice Machine Hire, Flame Machine Hire, DJ Speaker Hire, CD Decks including Pioneer CDJs, Vinyl Decks including Technics SL1210s, DJ Lighting Hire, Strobe Light Hire, UV Lighting Hire, Laser Hire, Snow Machine Hire, Bubble Machine Hire, Radio Microphone Hire, Silent Disco Hire and many more. With over 35 years experience in the industry, you can rest assured that you are in safe and competent hands. 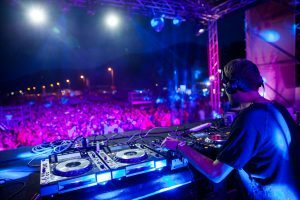 If you are looking to hire a full DJ Package, a Sound System, a DJ Lighting Package, a Silent Disco Package or a Mobile Outdoor Stage, then make DJ GEAR HIRE your first port of call.